The US Food and Drug Administration (FDA) have come up with new rules that require menus in chain restaurants, retail food eateries, and vending machines, to list calorie information. This new rule can make it easier for calorie conscious individuals to clock their calories effectively. A balanced nutritional diet in the form of carbohydrates, protein, fats and minerals, are instrumental in keeping our body and mind healthy. The food we consume has different calorie levels and measuring them is a step towards losing or gaining weight. The US Food and Drug Administration (FDA) have come up with new rules that require menus in chain restaurants, retail food eateries, and vending machines, to list calorie information. This new rule can make it easier for calorie conscious individuals to clock their calories effectively. The global figures declared by the World Health Organization recorded in the year 2008 reveals that over 1.4 billion adults are obese. The statistics by WHO in 2013 says that 42 million preschoolers were overweight. The younger generations seem to be obsessed with calories and track data using calorie calculators to limit their calorie intake. An article published in the American Journal of Physiology by George and Roth of the National Institute on Aging and the Arizona Center on Aging, worked on monkeys and inferred that 30% of calorie reduction resulted in increase in HDL levels that reduced the chance of heart disease. The study also revealed that there was a small drop in blood pressure among the subjects. This may help prove that counting calories does help in reducing signs of aging and heart disease. Those enrolled in weight loss programs need to switch to healthy eating, and counting calories can be a good means towards tracking weight loss in a healthy manner, informs dieticians and nutritionists. 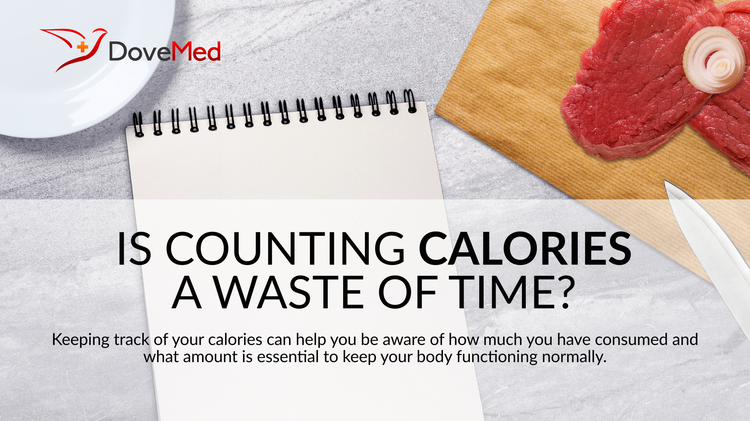 Keeping track of your calories can help you be aware of how much you have consumed and what amount is essential to keep your body functioning normally. In this manner, you can eat any food and still stay healthy by burning additional calories that are significant for weight loss. An article in the New England Journal of Medicine says that calorie restriction improves longevity in animals and can slow down age-related disorders, like low immunity response and DNA repair. This may be interpreted as the merit of calorie counting in helping slow down the aging process. Before deciding on whether to count calories or not, it is best to decide how much calories you need per day. The USDA Dietary Guidelines for American, 2010, charts out the calorie requirements for men and women. The calorie requirements change according to age, gender, and level of activity. Active men between the age group of 19-30 years require 3,000 calories, while those in the normal activity range require 2,600 calories. Active women in the age group of 19-30 years require 2,400 calories, while those in normal activity range require 2,000 calories. Counting your calories based on your age and activity level can help in establishing goals for yourself with respect to leading a healthy life. One of the drawbacks of counting calories may be that individuals sometimes lose out on consuming healthier food. Dietary fat has less caloric value than carbohydrate and protein that is good for health. Consuming baked chips maybe low in calories, but it has no nutritional value. This goes to prove how calorie counting can lead to low nutrition diet. Exercising more and eating moderately-to-less is the best way to spend calories efficiently. Weindruch R, Sohal RS. Caloric intake and aging. New England Journal of Medicine. 1997;337:986–994. Blaydes, L., & Kayser, M. A. (2011). Counting calories: democracy and distribution in the developing world. International Studies Quarterly, 55(4), 887-908. Miller, R. L. (1991). Counting calories in Egyptian ration texts. Journal of the Economic and Social History of the Orient/Journal de l'histoire economique et sociale de l'Orient, 257-269. Goggins, G., & Rau, H. (2016). Beyond calorie counting: Assessing the sustainability of food provided for public consumption. Journal of Cleaner Production, 112, 257-266. Heilmann, A. (2016). Get the Facts-Counting Calories. Get the Facts series. Schaeffer, C. (2011). Counting CALORIES. Pollution Engineering, 43(8).